The earth is facing imminent attack from an alien race. In order to defeat the alien forces the people of the earth need to find the greatest commander of all time. 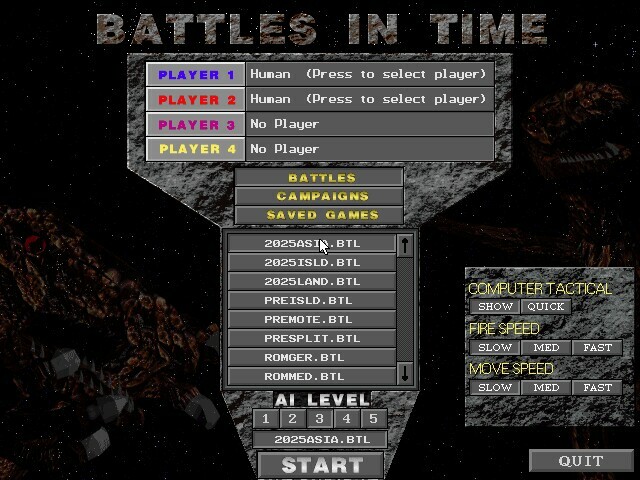 To qualify you will be sent through time to take command and to fight the worlds greatest battles. If you are successful your experience with these weapons and tactics through time will be used to exterminate the alien threat. 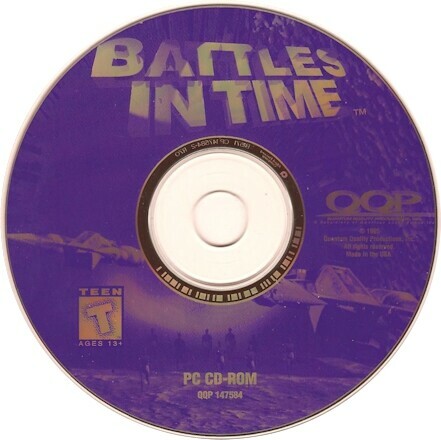 Battles in Time was quite different from most other classic wargames of its age. It achieved this by doing away with models of gameplay based too heavily in real war situations and replaced it with revealing abstractions, both for units as well as for the playing field. This reduced the unimportant elements, the visual clutter on screen and allowed you to focus on your emergent strategy, which led to deep and engaging sessions. The game is actually similar to chess. It is deep, meaningful, but has a higher learning curve than your average wargame of the era. 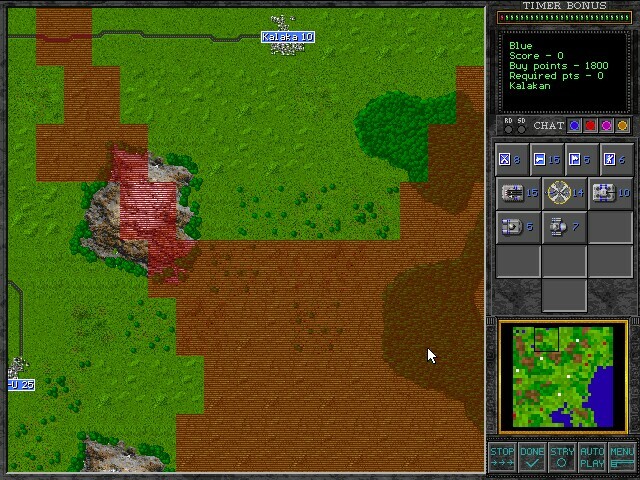 If you're looking for a 90s wargame with a fresh approach Battles in Time delivers.